Acquiring a home involves a very high risk, because this transaction requires significant financial expenses. In order not to lose the invested funds, it is necessary to study all the documentation on the object very carefully. However, no less important is the verification of the technical condition of the house. Otherwise, soon after the move, it turns out that your new family nest has a roof, the basement after each rain turns into a pool, and the crack on the wall grows with frightening speed. It is difficult for a non-specialist to understand all the intricacies of the construction business, but we hope that our advice will help you not to be mistaken and make the right choice. And then your joy of buying a new home will not be overshadowed by unpleasant surprises and you will not have to eliminate the deficiencies at your own expense, which the previous owner will want to pass to you. What to look for when buying a house with a land plot and how not to lose sight of the important points - read in this article. Only professional can evaluate the quality of the construction. And you don’t have to search for him through the familiar or free ads in the newspaper, because today there are entire companies involved in building expertise. Specialists will determine all the most important characteristics of the structure, for example, thermal conductivity and bearing capacity of walls, floors and foundations, moisture content of materials, the presence of hidden cracks and other defects, the effectiveness of engineering equipment used, etc., etc. As a result, you will receive a conclusion about real state of the object and cost estimates for "bringing to mind." This conclusion can be operated in the process of bargaining with the owner of the house. Calling a specialist will cost you a fairly large amount. However, when buying a house worth several million to save on checking the quality of what you acquire, it is simply short-sighted. However, it is likely that, having familiarized yourself with the conclusion of the examination, you will decide to refuse to purchase this property. This means that in the future it will be necessary to call experts again and again, already to other objects. Want to save tens of thousands of rubles? It is possible to make preliminary conclusions about the suitability of the house for housing yourself. The most logical sequence of actions is quite simple. You, guided by our recommendations, inspect the house you are interested in (most likely not even one, but several), and only if you could not find any serious flaws and you are satisfied, engage an expert for professional assessment of the object. 1. 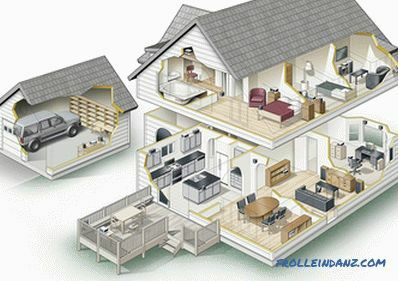 Watch the house better in spring, during the period of active melting of snow and high soil moisture. Many make the mistake of going for a visit in the winter. This, of course, has its advantages, in particular, you can be sure that the heating system is functioning normally. But at the same time in winter it is more difficult to assess the general condition of the house. The snow will hide from your gaze the collapsing foundation of the house and the cracked slate on the roof. You will not notice a dump in the back of the yard. In the spring, all these flaws will be exposed, and melting snow and groundwater will immediately show the weak points of the structure. 2. Many people have a very negative attitude towards any second-hand things, categorically refusing to "wear out" for someone. But when choosing a home it is better for them to reconsider their views. Preference should be given to houses in which people have lived for some time. The fact is that in the overwhelming majority of cases, the construction "for oneself" and "for sale" are two different levels of quality. If the owner of the house lived in it, this can serve as some guarantee of quality. 3. You should not hope that the owner of the house will honestly tell you about the existing shortcomings of his home, because he is interested in selling it quickly and profitably. You have to get to the truth yourself. For example, a sincere conversation with neighbors will be very useful. They saw how the house was built and what is under the decoration, and, being uninterested persons, they can tell a lot of interesting things about what the landlord would prefer to keep silent or to hide intentionally. 4. 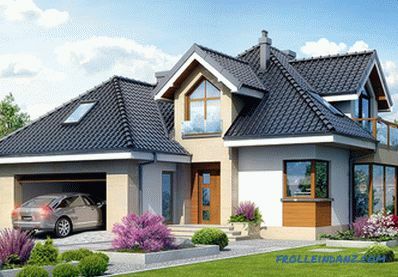 It is necessary to evaluate not only the house itself, but also its location and the plot adjacent to it. Is there excessive moisture in the area? Is the house hidden from the sun by trees or nearby buildings? How convenient are the entrances? Are there high voltage power lines or industrial facilities nearby? 5. When looking around the house, write down any questions you may have, so as not to forget to ask them to a specialist. Take pictures of places that are not yours. Of course, a significant part of the identified flaws can be recoverable, but this will require additional financial investments from you, which means that it can become a basis for revising the final price. The house is not just square meters. Comfort depends not only on the total area, but on the proper layout of the living space. What to look for when buying a home? What moments are especially important? A comfortable home can be called one in which we managed to achieve the right balance between the feeling of space and privacy. Well, when the rooms of the day stay - the living room, hall, dining room - smoothly "flow" into each other: this will create a feeling of freedom and spaciousness and will save you from the need to constantly open the doors when moving around the house. At the same time, it is very important that each family member have the opportunity, if they wish, to be alone. 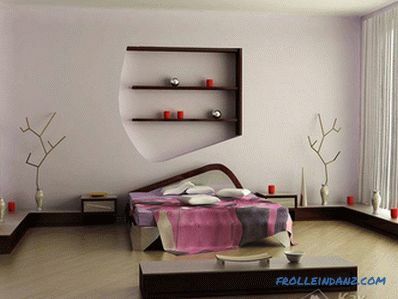 This, at a minimum, dictates the need for a sufficient number of bedrooms in the house. It is not necessary that they be large: just the opposite, in a small room it is easier to create a feeling of comfort that is so necessary for rest. It is desirable that the house was as small as possible narrow, long, dark corridors. 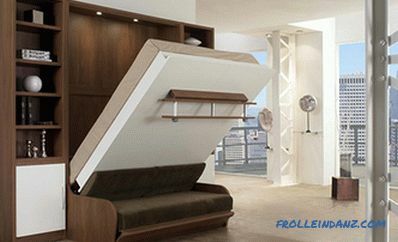 Do not forget about the storage space for household belongings - storage rooms, closets, dressing rooms. Otherwise, moving around the house, you will constantly stumble on clothes that are inappropriate to the season, children's sledges, pickling jars ... you never know what else you want to hide for the time being with your own and others' eyes. Since many of the communications of a private house, as a rule, are autonomous, technical premises should also be provided for. It should be taken into account that storerooms and technical premises do not require full heating, which allows you to significantly save energy. Be sure to pay attention to the stairs connecting the floors. Of course, I want it not to "eat up" too much useful space, but we should not forget that in case of fire this will be the main way of evacuation from the second floor. 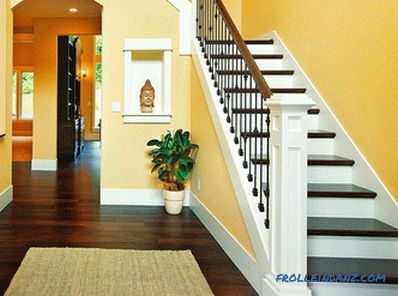 From this point of view, it is very desirable that the stairs should not be too narrow and steep. In addition, the steepness of the ladder and the presence of a reliable fence directly determines the magnitude of the risk of serious injury if accidentally dropped. How comfortable you will be living in a new house, largely depends on the degree of its illumination. Natural light in the living room should be a lot. It is clear that sunlight penetrates into the dwelling through the windows, which means that there should be a lot of them. However, too zealous, too, is not worth it, because an overabundance of windows is one of the reasons for the decrease in the building's energy efficiency. When determining the most optimal number of windows, it is assumed from the value found experimentally: the ratio of the area of ​​the windows to the area of ​​the floor should be about 1: 8. Since we are talking about windows, it is worth saying a few words about the so-called houses with the second light. These are buildings in which part of the interfloor overlap is absent, and a large panoramic window is located in the entire wall of the premises (usually a living room or hall) with a doubled ceiling height. Undoubtedly, it looks spectacular, but in practice it is not very rational: such a house has a larger heated volume and a smaller usable area. And, of course, an indispensable condition for such a house is a beautiful view from the window, otherwise there is no need to create such a review. In conclusion, we mention the garage available in any modern country house. Very often a part of the ground floor is allocated for the garage. This is undoubtedly convenient: you can go down to your "iron horse" directly from the house, not having time to freeze in the cold of winter or to dirty your shoes with mud in the autumn weather. However, this approach to planning has its own pitfalls. 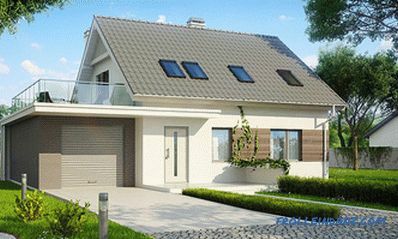 The garage built into the house requires good ventilation, otherwise the smell of gasoline and exhaust gases will be felt in the residential premises (it’s not for nothing that the regulations prohibit placing bedrooms above the garage). If the garage is attached to the house and even more so is at some distance from it, the problems of deteriorating air quality does not arise. Very often the attic of the house turns into a dump of useless things - its owners leave the equipment to then finding many other more important things. It is unlikely that you have a great desire to wander among the boxes covered with a thick layer of dust, old suitcases, remnants of building materials and other belongings. However, to rise to the attic is necessary. It is in the attic that you can judge the condition of the roof. Ideally, if its inspection coincided with rainy weather - all defects will become clearly visible. But even if you are “unlucky” with the weather, you just have to look around carefully. 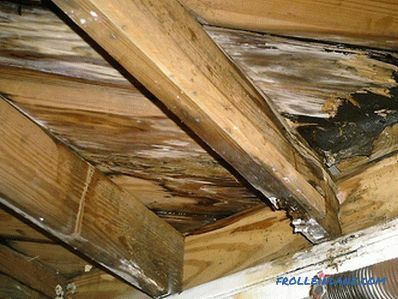 Traces of smudges, mold or fungus indicate that roofing work was carried out in bad faith, with a gross violation of technology, resulting in the roof leaking.Such a house will not be a reliable weather protection - refuse to buy it or get ready for the considerable repair costs. Be sure to pay attention to whether the drain system is properly arranged. 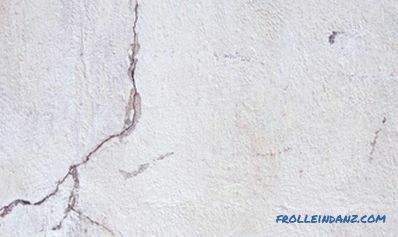 Its flaws can be identified by the smudges on the external surfaces of the walls, as well as by the grooves washed out with water on the ground. At first glance, this seems to be an insignificant trifle, but improper runoff of water during rain can eventually lead to the destruction of the foundation and walls of the building. Want to know if your new home can serve as your fortress? Then carefully inspect the outer walls for cracks. 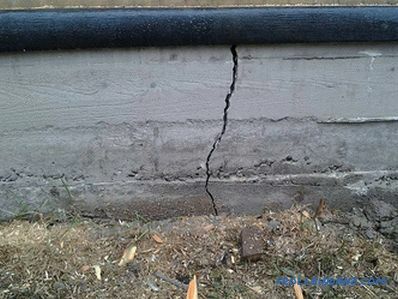 The reasons for the appearance of cracks on the supporting structure are numerous: improper shrinkage of the house, the absence of monolithic reinforced concrete belts in the case of aerated concrete walls, etc. Even if the cracks themselves are not noticed, freshly plastered parts of the walls may indicate their presence. However, plastering is only a temporary solution to the problem, more precisely, even an attempt to create the appearance of well-being. The crack is likely to reappear very soon. 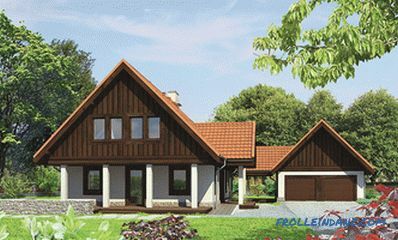 Of course, the dwelling should be not only durable and reliable, but also warm. Brick walls, regardless of their thickness, are necessarily insulated with mineral wool or expanded polystyrene. 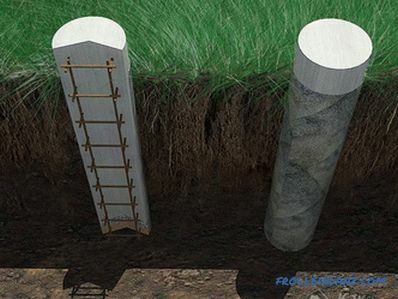 Aerated concrete walls may not be insulated, but only if their thickness exceeds 400 mm. Otherwise, a layer of mineral wool is used. 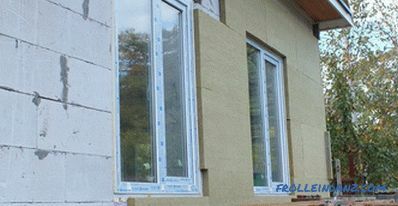 Expanded polystyrene is not recommended for thermal insulation of aerated concrete, since it has less vapor permeability than the material of the walls, which means that the dew point will move inwards. 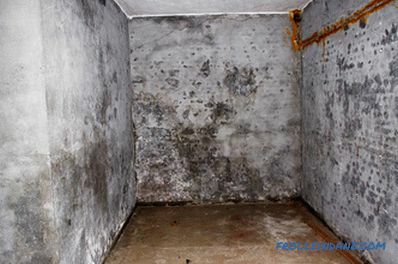 Over time, this can lead to the formation of condensate and, as a result, mold and mildew on the inner surface of the walls. Often they try to give foam concrete for aerated concrete. They are somewhat similar in appearance, but the latter has a higher thermal conductivity. The walls of foam concrete must be insulated with mineral wool of at least 100 mm. 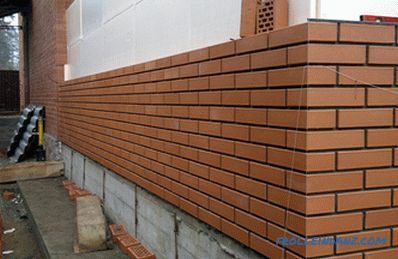 Large and at the same time keramoblocks are a well-deservedly popular material that looks like a brick, but with increased voidness, which means that it has very low thermal conductivity. Sometimes the structure of a building is combined: the first floor is made of heavy material (for example, brick or ceramic blocks), the second is made of light (for example, aerated concrete). This approach is valid and even rational (but you can’t do the opposite, as you probably guess). If one floor is made of materials that differ greatly in density, wait for an uneven subsidence of the foundation. To assess the quality of the floors, first take a look at the ceiling of the lower floor. Overlap deflection is a bad sign. A possible reason for this may be an insufficient cross-sectional area of ​​the beams. In this case, the situation will worsen over time, i.e., the magnitude of the deflection will increase. Strengthening the floor - the occupation is extremely difficult and very expensive. 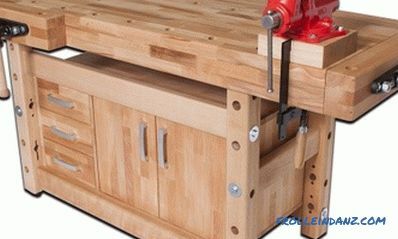 From whatever material the overlap is made - reinforced concrete or wood, it should be smooth. Any floor covering - parquet, laminate, linoleum - on an inclined and especially uneven floor wears out very quickly. It is not difficult to make sure that the floors are even, just remember to take the building level with you to inspect the house. Wood floors must also be checked for the absence of fluctuation - there should be no noticeable fluctuations during dynamic loads. 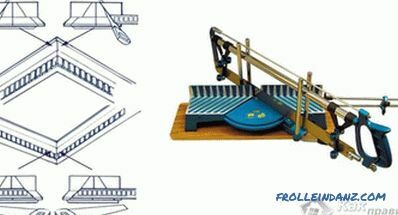 The standard permits deformation of the floor within 2 mm per meter length. This means that if, having jumped on the floor, you notice only minor fluctuations, this is normal. But if the floor sags under you even when walking, refuse to buy such a house or get ready for its global reconstruction. 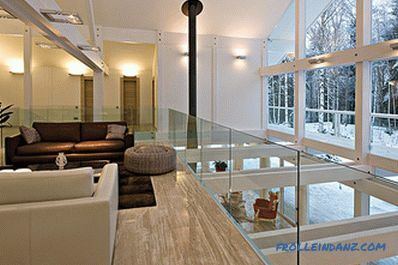 It is also desirable to evaluate the sound permeability of the ceiling. The reasons for a good hearing of the impact and airborne noise produced by the floor above may be insufficient insulation layer thickness, loose fit of the reel, lack of sound-permeable gaskets in the places of its support. Defect is eliminated by perepilaniya floor. The quality of the foundation is a mystery hidden under the ground. But it is this structural element that determines the strength and reliability of the entire building. An indirect evidence that the foundation was made correctly can be the absence of cracks on the walls. A more accurate assessment of its reliability can be made only by specialists who will need to open pits in several places along the wall, that is, they can select the ground to bare the foundation. Do not be lazy to carefully examine the basement. It is great if the inspection of the house fell on the period of active melting of snow and the rise of groundwater to the maximum marks - at this time the problems will be clearly visible.But even if it turned out that you were engaged in the selection of housing in another season, look closely at the walls and especially the corners of the basement. 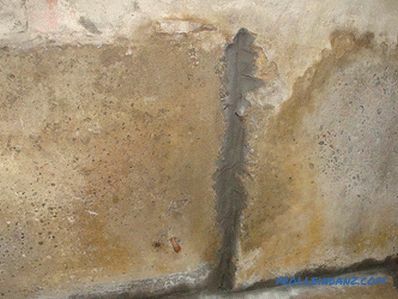 If you notice traces of past floodings, this means that the foundation construction technology was broken - waterproofing was poorly made, there are problems with the drainage system and ventilation ducts. Regular flooding will lead to the appearance of dampness and mildew in the house, which will not erode, and eventually destroy the foundation. The quality of communication systems determines how comfortable your life in a new house will be. That is why checking their status should be given due attention. Of course, all the equipment that ensures the functioning of the electrical system and the systems of water supply and heating should work, which you should make sure in practice. In addition, ask the seller to show you contracts with service companies - the refusal to provide these documents should raise doubts about the legality of the connection. Wiring and pipes are usually hidden under the trim. They are difficult to see and, if necessary, replace. Therefore, feel free to ask for the layout of water, heat, gas and electricity. The absence of this information will greatly complicate the operation and possible repair work. Not superfluous will be instructions for use and warranty cards for equipment involved in ensuring the work of engineering systems. Starting to inspect the water supply system, you first need to ask what source the water comes from. If the house has an autonomous water supply system, i.e. water is taken from a well or well, we strongly recommend taking a water sample for analysis to determine the concentration of heavy metals and the presence of pathogenic microflora. If the examination shows that the water in this source is of inadequate quality, you will have to fork out for the installation of an expensive cleaning system. Check the performance of the entire system. Carefully inspect the pipes for smudges - the presence of microcracks in them can be judged, for example, by traces of rust in certain areas. Make sure that the section of the pipeline leading from the well to the house, i.e., passing along the street, has good thermal insulation. Otherwise, in winter, the pipes may burst as a result of the expansion of the water frozen in them. Assess the condition of the drainage system. To do this, it is enough to drain a large amount of water (for example, from a pre-filled bath). If the process is too long, there is reason to think. Carefully inspect the sewer pipes - the accumulation of moisture on them may indicate a leakage. If the house is not connected to the central sewage system, you will have to inspect the cesspool or septic tank. The size of the storage tank should be close to the standard, and its walls are made of concrete or lined with brick or stone. If the cesspool is almost full, it should alert you. A possible reason could be a poorly working or even completely missing drainage system. The quality of the heating system can be fully assessed only in the cold season. If, at the time of inspecting the house, there is a fine summer day outside, ask the owners to turn on the boiler and after half an hour check the temperature of the radiators. Make sure that hot water flows into the radiators of all rooms in the house. Check if the pipes and batteries are leaking, if they are fitted with air valves for air release. Be sure to take a look at the boiler itself. When you are near good equipment, you should not smell gas and see puddles or rust. Another important object of your attention should be the power supply system. Some homes still use aluminum wiring that does not meet current standards and does not meet current needs. 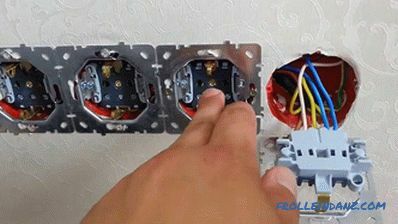 Of course, the wires are hidden in the walls, but it is easy to find out the material from which they are made - for example, it is enough to remove the cover of one of the sockets. If at the time of inspecting the house there are any household electrical appliances, take the opportunity to assess the quality of the wiring. Ask the owners to simultaneously turn on all available devices. If the network can withstand the load, then you later do not have to choose between a working iron and an electric stove. To create and maintain a healthy microclimate in the house (and therefore, for a comfortable stay in it) the flow of fresh air is very important. Learn about the device ventilation system in the house that you decide to purchase. Of course, natural ventilation, when air movement is caused only by the difference in air temperature outside and indoors, is simple and cheap.But simple and cheap, as a rule, is not the most profitable and effective. A big plus for the house will be the presence of forced ventilation in it. Be sure to inspect the vents and make sure they are not clogged. Remember that poor ventilation threatens your home with destructive dampness, and you have a constant feeling of unpleasant smells and stuffiness, and in especially neglected cases, even health problems. The main requirement for windows is sufficient dimensions to ensure good illumination. At the same time, they should also have excellent heat and sound insulation qualities. The latter applies to the door. Slopes should be insulated not only from the inside but also from the outside - do not forget to make sure of it. Do not neglect attentive inspection of windows. We will not even mention the cracks on the glass, the damage to the profiles, the broken accessories - you will surely notice such glaring disgraces without difficulty. 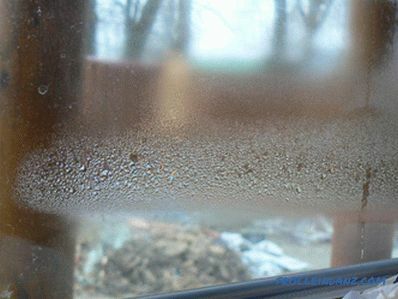 But there are also hidden defects - for example, fogging of the space between the panes, which can be seen only in the cold season. The presence of moisture inside the glass pane indicates a violation of its tightness. The only solution to this problem is to replace the glass unit, which, as the future owner of the house, is hardly necessary. At this stage of the inspection of the house, you can make a conclusion about the correctness of the shrinkage of the house and the absence of distortions in the structure. To reveal the existing problems will help skewed door and window boxes. Both windows and doors should open and close easily with a little effort (which indicates that they fit snugly to the frame). Jamming is unacceptable - it is the first sign of improper shrinkage and, as a consequence, the heeling of the house. If you examine all the rooms in the house, you have come to the conclusion that you are satisfied with everything or almost everything, you can begin to get acquainted with the documents for real estate. This stage is no less, and maybe even more, important than a survey of the condition of the roof or engineering systems. In the end, the leaking roof or rusted pipes can be repaired (although this will require additional financial investments from you). But if you do not pay enough attention to familiarization with the documentation, review the paper only briefly, then you may become a victim of fraudsters or just unscrupulous sellers. Then, at best, you will gain a lot of legal problems at home, but at worst, you will lose money without receiving anything in return. The list of documents to be checked is quite extensive and may vary depending on the type of housing and the plot and the history of the ownership of the object. communications contracts (if any) and certificates no debts to pay for the use of these communications. Make sure that the documentation you are studying corresponds to the site you are shown. Check with the Department of Land Resources for the registration of the site at a specific address. Find out the history of previous transactions with this property. If one of the previous transactions is invalid, then all subsequent ones will be. All sales transactions had to go through state registration, and all relevant agreements are kept in the BTI archive. Make sure that there are no boundary disputes with neighbors. Check the actual area of ​​the site, determined by you personally using any available measuring tools, with the area specified in the documents. If these values ​​vary widely, it is better to abandon the dubious deal. Land may not be mezhevan. In this case, oblige the seller to dissociate the land, put it on cadastral registration and register with the justice. When buying real estate by proxy, check the authenticity of the latter with a notary.Inquire about the property owner, find out if he is alive and whether he really issued a power of attorney. Make sure that there is no encumbrance in the form of bail or arrest on the house and the plot. Check this information will help you notary, attracted to the transaction. Help for the seller from the psycho-neurological and narcological dispensary will not be superfluous. This will protect you from a situation where it later becomes clear that the seller was officially declared incapable, which means that your deal with him can be challenged. This is not all that you need to know when buying a home. In some cases, there is a need for additional checks. An experienced realtor can feel all the possible tricks, so when buying property, it makes sense to entrust this work to a well-established real estate agency.